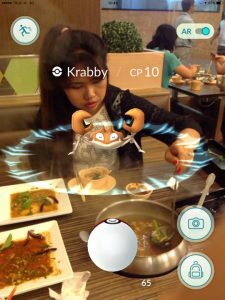 I was very much left behind, eating Pokédust, when Pokémon Go first launched in Thailand. At the time I was in the UK held back by a whole bunch of limitations, like not even owning a phone (as I otherwise never use them). I did ask Fanfan to borrow hers but she can only offer a Windows phone, which is pretty much useless when it comes to Pokemon. Not only was the App never brought to the Windows phone, but the unofficial PoGo app, runs the risk of a ban. Thankfully I did manage to load it onto Fanfan’s iPad, which was supposedly a temporary solution, which continues to this day. It does work but, given its massive size, it also looks pretty obvious, and ridiculous, and I really hoped to play Pokémon more discretely. But again there were more limitations even with the iPad where there’s no sim or data connection, and instead I am forced to local wi-fi spots in my town centre, coffee shops, and supermarkets. I would drive in continuous circles at my local Tescos , each day, to hatch eggs, and catch lots of Drowzees. But this was the height of excitement. On the plus side I did make more sociable as I was out more joining the family to go shopping, or out for breakfasts and meals together. 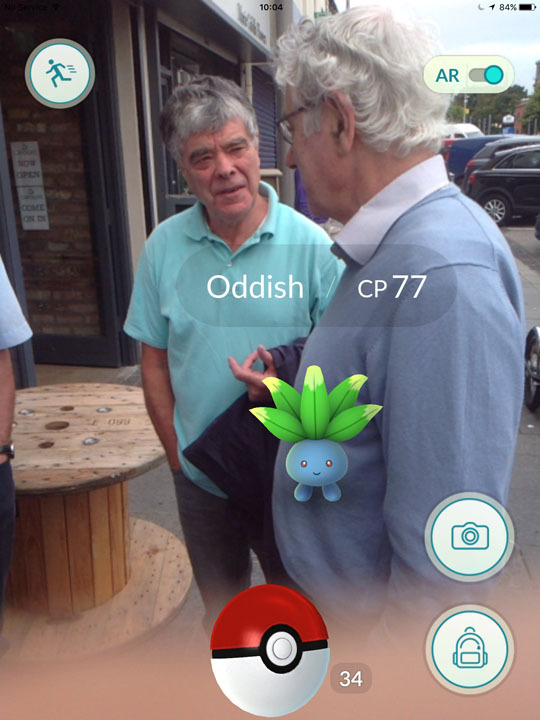 They do now think of me as some ginormous man-child Pokédork, which is true I guess. But this won’t hold me back. It was a month after Pokémon Go’s release when we finally travelled to Thailand, and much of my excitement was for killing time at the airport with free wi-fi and Pokémon Go. In the end, through three airports, I found not one Pokémon. Zip. Zero. This, I guess, is for security reasons, where they don’t really want diehard Pokédorks sneaking through secure areas, or stampeding through passport control, in pursuit of a Snorlax or whatnot. So my Pokémoning was again limited, and I instead dabble in a bit of evolution. With loads of Rattatas in my Pokébag, I transfer them over to Professor Birch and evolve a Raticate to be my new high-ranking Pokémon. 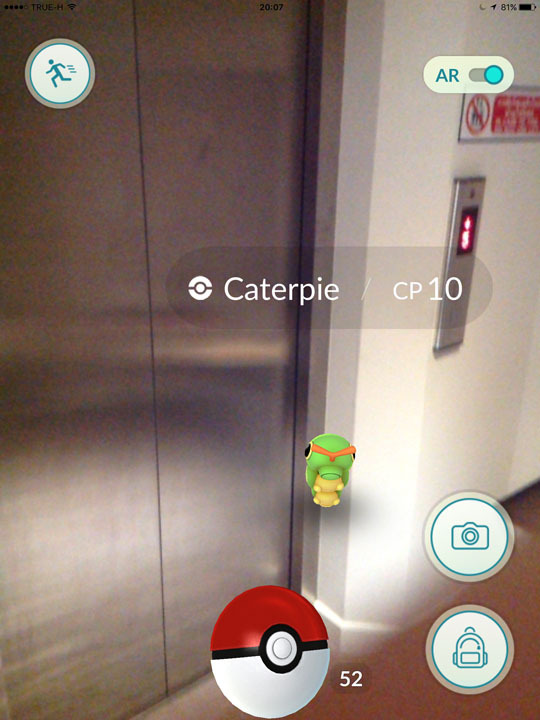 With a CP of 327 he is still piffless, but I am still Level 10 at this stage. Things however, will quickly change when I arrive to Bangkok. 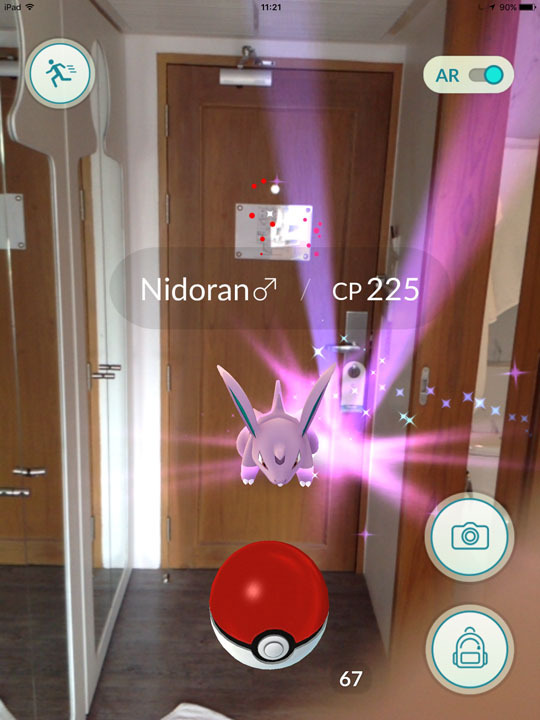 Even in my hotel room, I am surrounded by Pokémon and without getting out of bed I can even twizzle a Pokéstop. So my Pokébag is quickly filled to the brim which Pokéballs which I find to be essential when I step outside. I was levelling up quick in Bangkok and Pokémon catching became trickier than before. Now I was forced to use Razz Berries to lighten their moods, and my first feeding of a Polywag on my hotel bed, was nothing but adorable. 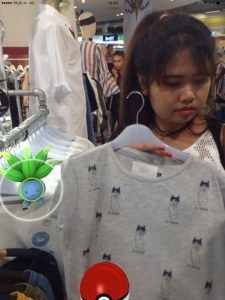 Anyway, the next day we were back out to the malls for Fanfan’s shopping, which is normally extremely depressing given I despise shopping. Now Pokémon had at least given me incentive to be there, and it distracted me from the hellish boredom I normally have in malls. 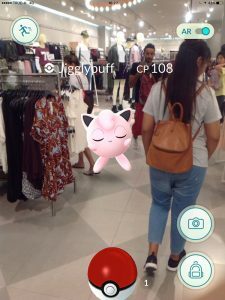 But the day did start off relatively slow until lunch time, and the work break, when Pokéstops suddenly came alive again with lures and the malls were lit up again. We were in Siam Paragon at the time, the world’s most instagrammed destination at one point, and I was soon standing on lures upon lures which are found through the multistory levels of the shopping mall. I soon have so many Rattatas, Pidgeys and Weedles rattling around my feet, that I have to ignore most of them. But this is what I had been searching for. I was finally in the thick of the Pokémon phenomenon. The heart of the hive, the belly of the beasts. Throw in some incense and a lucky egg, and I would have been leveling up like nobodies business, although I only learnt this later. Following a month of plodding slowly along, like a Muk, I was now chasing up a very steep learning curve. That evening we had to meet friends, and socialise, which made Pokémoning harder. But it definitely didn’t stop me and one of the highlights of the night had to be catching Meowth while eating som tam, in the new Siam Square One mall. 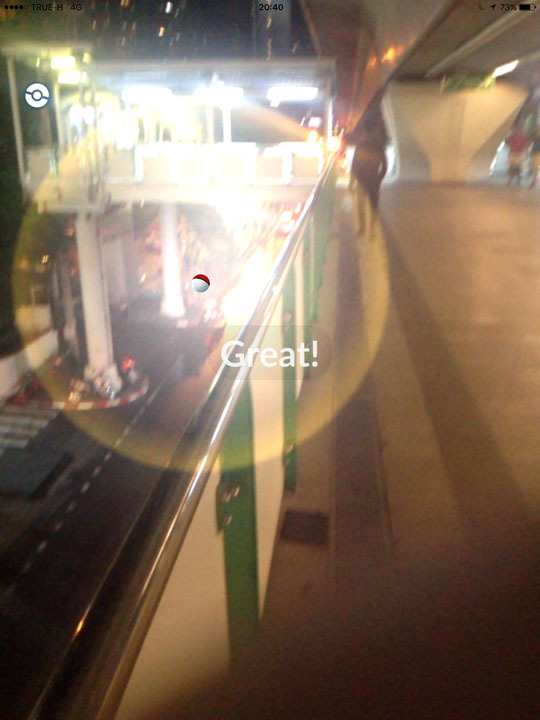 While walking the skywalks, from Siam Paragon to Central World, I then hatched both a Geodude and a Manky which, again, was making for a great night out. However things change when my battery dies, mid-pub crawl through Central World’s new Groove entertainment zone, and I am forced to socialize and acknowledge those around me 🙁 Noone wanted to talk Pokémon and I was forced to talk about boring, real life, non-augmented reality things. 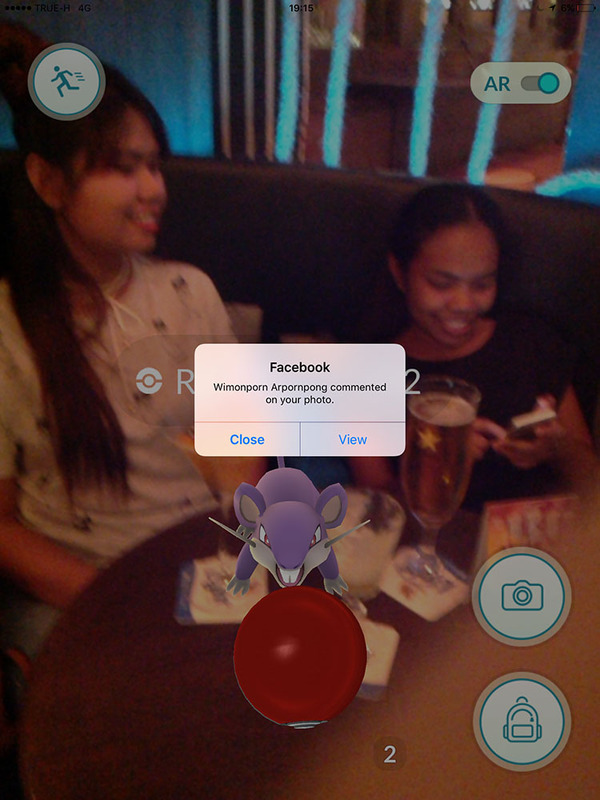 Anyway, by the end of our second night in Bangkok, my evolved Raticate had already been relegated to the third tier of my Pokébag. 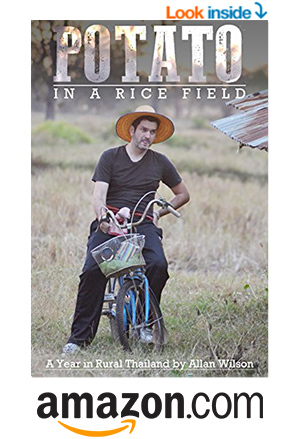 And, with just two days in Bangkok, I achieved more than I had over the past month while in the UK. 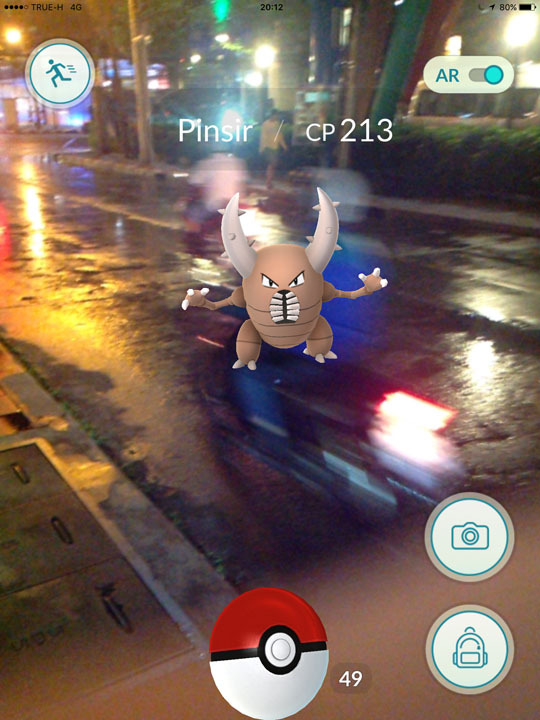 I arrived to Bangkok with 35 Pokémon in my Pokédex and, by the time I was leaving, I had 52. And multiples of many. 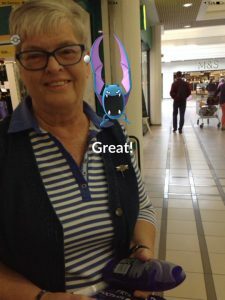 In total I caught a staggering 168 Pokémon in the space of two days. 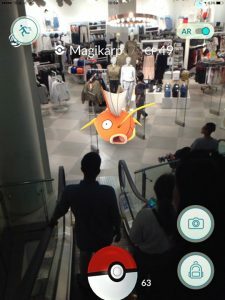 Pokétastic. For the coming months we would be living in the small village of Broken Road which is 340km from Bangkok, and from there it’s a further 70 km to the next major city of Buriram. 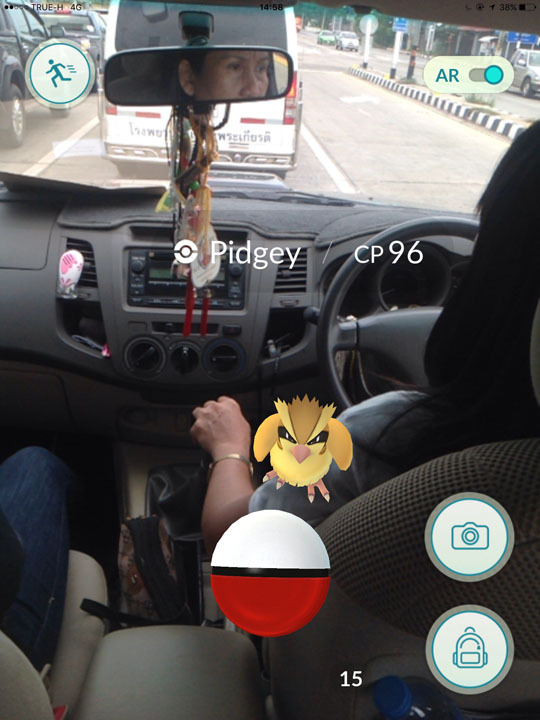 On the bus out of Bangkok I manage to hatch an egg, and win a measly Rattata, which felt like a sign of Pokémoning to come. 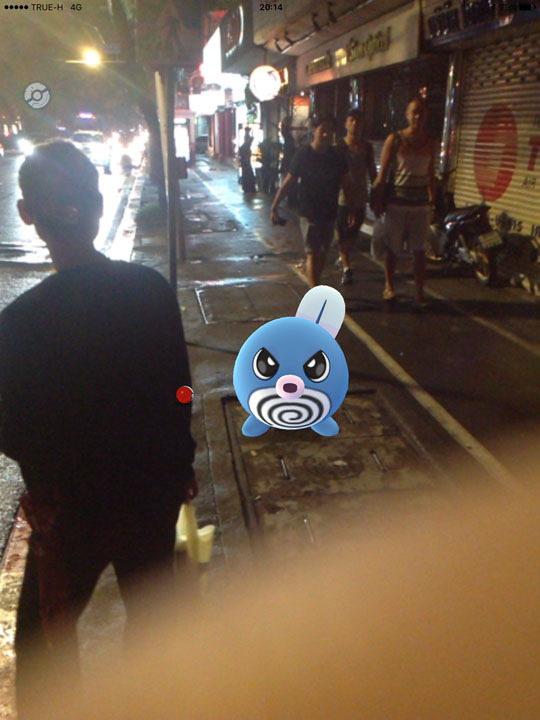 And, the further we travelled from Bangkok, the grimmer the Pokémoning outlook became. 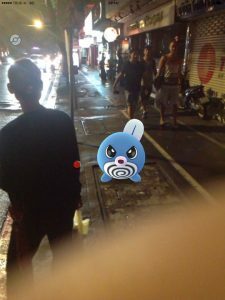 I would open the app along the five-hour journey, at each intersection and village, and each time found next to no Pokestops. 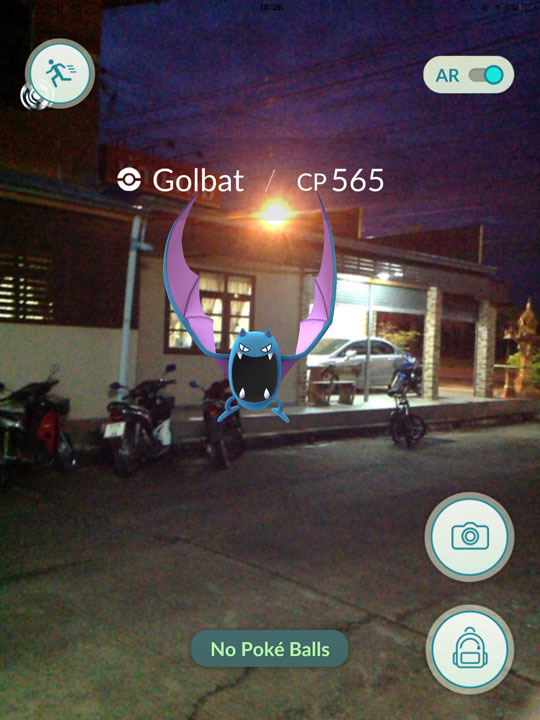 I was therefore surprised to find not only Pokéstops, but a Pokégym, in the nearby town of Nang Rong. 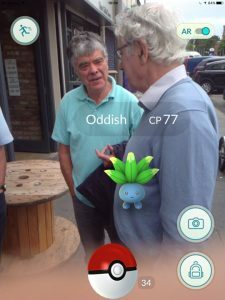 Things became even brighter as we arrived to Broken Road, to find the only Pokéstop within miles was at the entrance to the village. Just a quick 3 minute walk from our home. 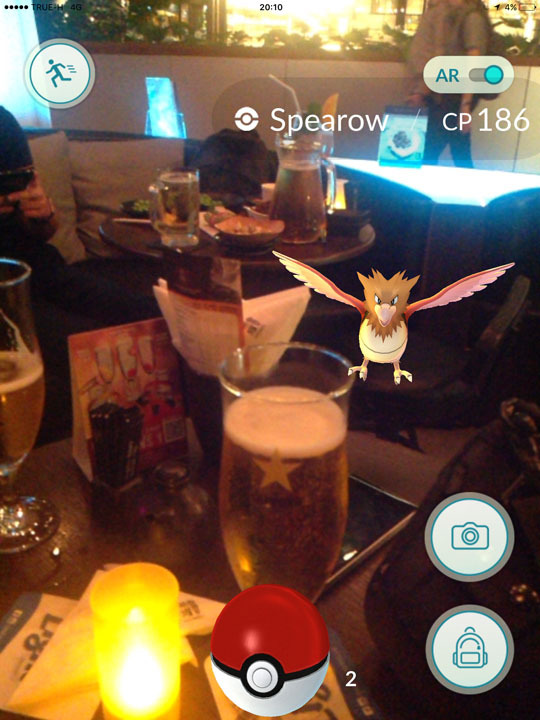 So I was quickly out on my first beer run when I came across another Rattata, which was a bit soul-destroying. 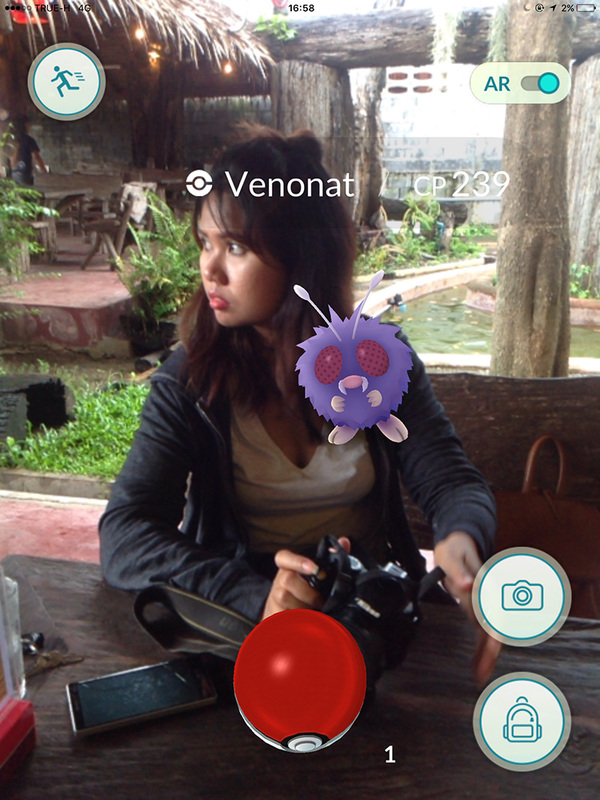 But, when trying to catch it, a betel chewing granny come to join me, and starts to point at the screen laughing “Pokémon, Pokémon”. 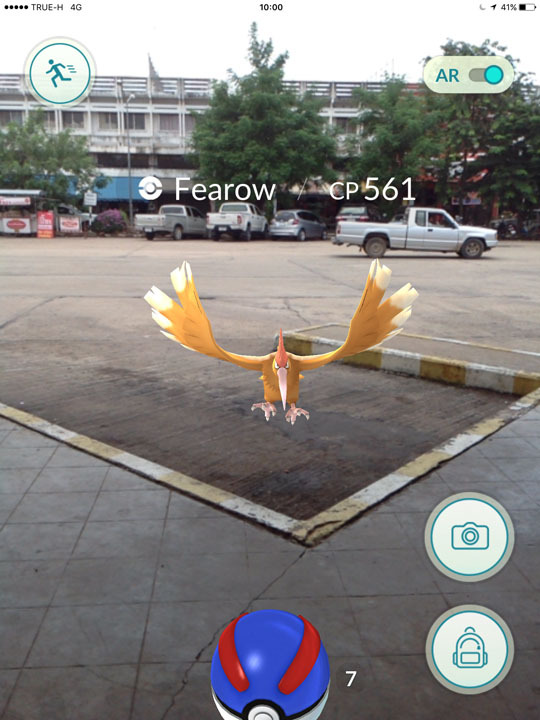 Apparently Pokémon is even well-known in these rural regions of Thailand, and has even been banned on the roads due to dangerous driving. When thrown in with all the drunk drivers in these parts, I can somewhat understand this. The Pokéstop is at Baan Khanom, or snack house as it translates to in English, because landmarks here are otherwise few and far between. So over the next two weeks the Snack Shop is one of the few places I’ve actually found Pokémon. Another was at the local market. But, given the I had just levelled up from 10 to 13 in no time, I was now struggling to catch Pokémon. 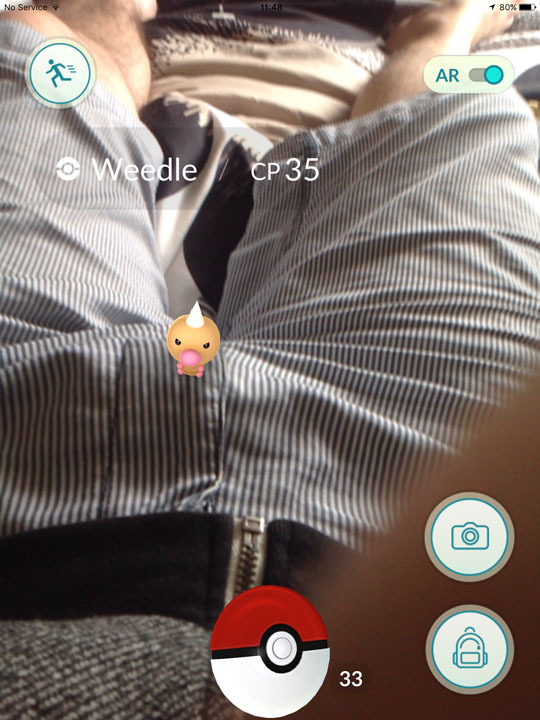 I even need blue Great Balls to catch the simplest of Rattatas and Weedles. 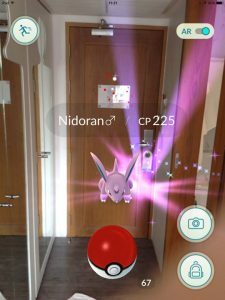 So, inevitably with just one Pokéstop in the area, I was quickly running out of Pokéballs. 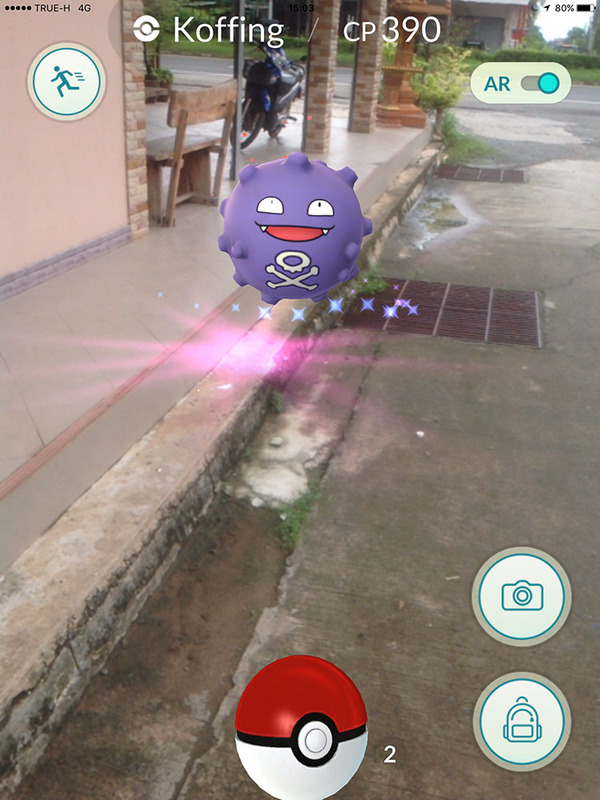 And, in two weeks, the only new Pokémon I captured was a Koffing. 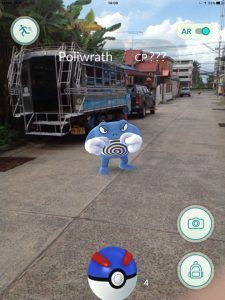 One of the biggest disappointments had to be when I stood toe-to-toe with a Poliwrath with a near empty bag of Pokéballs. Yes, I can easily get to the Pokéstop to load up, but when I do I will likely get pokéd by grannies. Plus, I really don’t want to look like a ginormous dork in front of all the village kids. This isn’t so much that I’m an adult playing Pokemon, but I’m using this huge iPad, while these supposedly poor rural kids, have their androids and iPhones. Instead I would sneak my bike round from the opposite road, and twizzle the Pokéstop while out of sight. But it all feels too desperate and, admittedly, I am getting bored. Much of my orignal motivation for Pokémon was to force myself to be more active, and to lose weight. I’m huge right now. 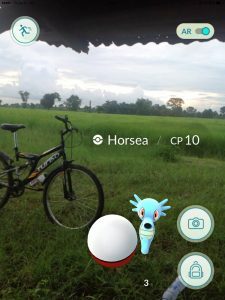 I was excited to take the bike out into the rice fields each day, in search of some of the lesser known rural species of Pokémon. They have real King Cobras here, so the Pokemon must be gnarly. Each day I would pack the iPad into my backpack, and crank up the Pokémon music to motivate me. 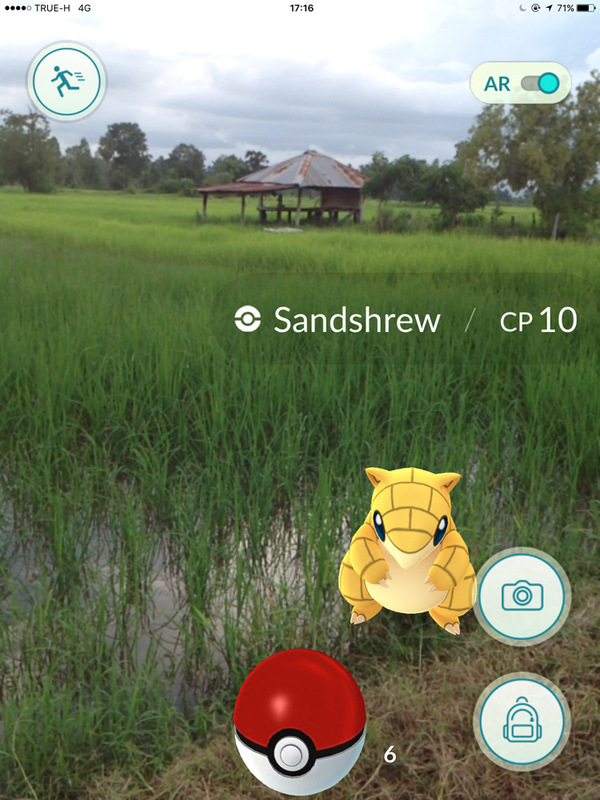 But, after going two weeks straight to the rice fields, I have found absolutely nothing. Because all the Pokemon are back at the snack shop, where chubby kids go to get fat. Not cool Niantic. But I do continue to cycle each day where I can still hatch eggs, and the buddy system was just released, so I have been levelling up my Clefairy. 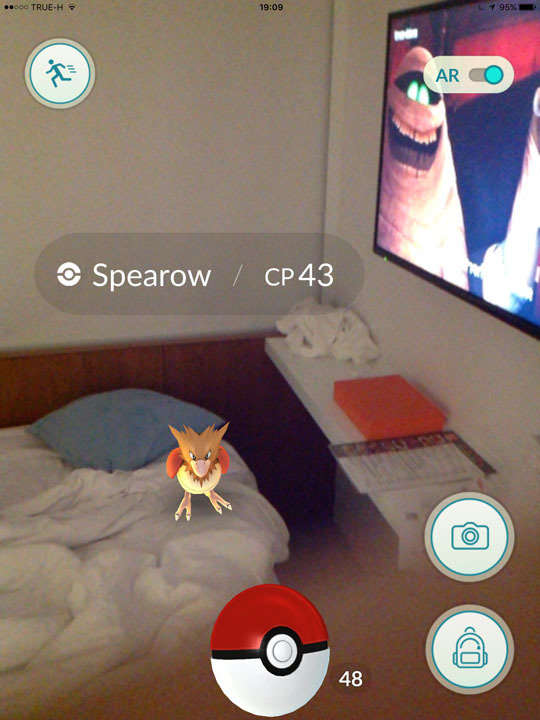 I also allow myself the occasional incense lure so I can still catch Pokémon out in the wild. But I am still at a major disadvantage locally, where every 10-year-old, in their Ben 10 T-shirts, have their own motorbikes. 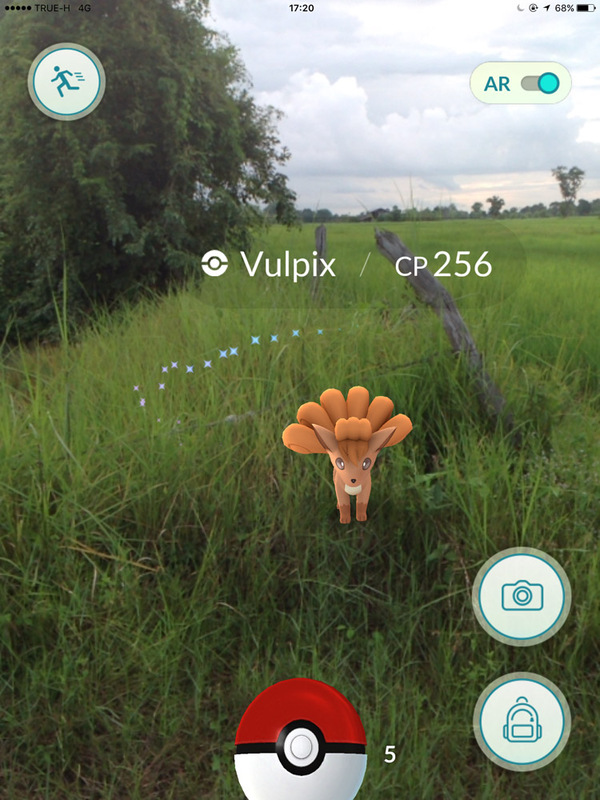 They just circle round the village, and hatch eggs, without doing any of the leg work.